Essential EC Law in Charts, 1.ed. Essential EU Law in Charts, 2.ed. Essential EU Law in Text, 1.ed. 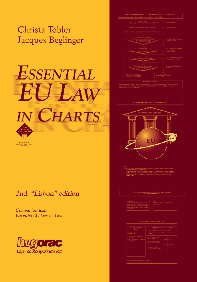 Web-Companion "Essential EU Law in Charts"
In Keck, the CJEU held that, within the category of indistinctly applicable measures, a distinction must be made between product rules and selling rules. Certain selling arrangements are never covered by Art. 34 TFEU, and are independent of mandatory requirements. The EU Law in Charts Project. Attention of Prof. Dr. Christa Tobler, LL.M.